Lonely Peter Wrigley, who is mourning his father's death, gets his chance to become a hero when he uncovers a group of birds'-nest poachers in this English novel set in the Lake District. - Publisher Peter Wrigley is small and thin, so it's not surprising that he's known as worm. He's always wanted to do something brave, but usually ends up as a laughing stock. Then a walking holiday in the Lake District changes everything. 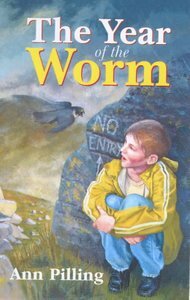 About "The Year of the Worm"
Peter Wrigley is small and thin, so it's not surprising that he's known as worm. He's always wanted to do something brave, but usually ends up as a laughing stock. Then a walking holiday in the Lake District changes everything.